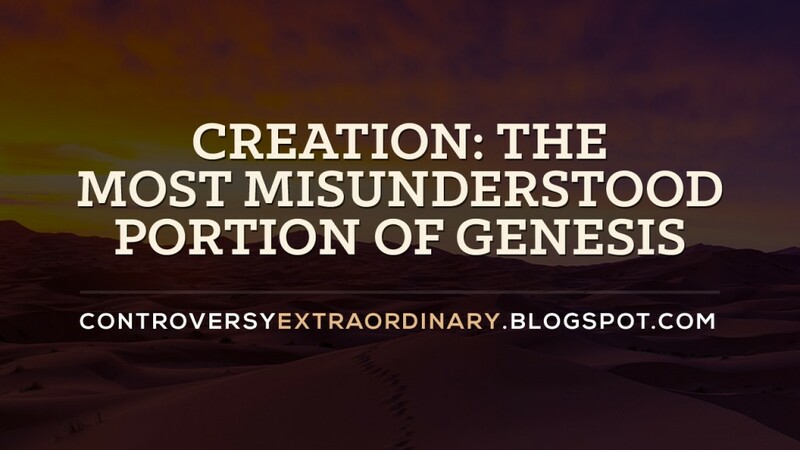 Creation: The Most Misunderstood Portion of Genesis. Click here for the second part of this blog. Human sciences are wanting, wanting as ever. That is because God has reserved some knowledge of his work for him alone. As defined in the dictionary, human science is the study and interpretation of the experiences, activities, constructs, and artefacts associated with human beings. Normally used with the Letter “s,” the human sciences correspond to humanities and social sciences, but also include aspects of psychology and even mathematics. Discussions by Michael Dunn in The Human Sciences (2013), theoryofknowedge.net said many people do not consider human sciences as true science because they rely on empirical observation to arrive at findings. In contrast, the natural sciences, which are much ‘stricter’ in their use of observation, are backed up by rational theorizing. Still they are just theories. And yet man resorts to either in trying to understand the universe. Therefore, human sciences as well as natural sciences endeavoring at their best, lack explanation in so many things that actually happen and exist. In faith and in the Bible such unexplained thing is called mystery. This progress report, for example, by Adam Hadhazy published in Popular Mechanics is about unsolved mysteries of science. (Ref: http://www.popularmechanics.com/science/sciences-greatest-unsolved-mysteries-progress-report#slide-1). The questions include: 1) Will we find a cure for cancer? 2) Can we achieve immortality? 3) Can we create life? 4) Will we find the soul? 5) Are we alone? 6) Is light the ultimate speed limit? 7) Can we travel through time? And 8) Will we find other universes? To qualify, not everything in the Bible is considered a mystery. The Bible contains information worded in simple words understandable even by the most illiterate of humans. Honor and obey a father and a mother can be understood even by a child. To do good to everybody can easily be understood by a person of good conscience. But how about having light, morning and evening the first day when the sun and the moon were made on the fourth day? Can’t this be possible scientifically speaking? Let us investigate within the pages of the “book” that offers humanity the only credible and real scientific information on how the universe came into existence! In this verse, the only refuted word by unbelievers, especially the atheists, is “God”. Real science believes in beginnings. Real science believes that there is an earth, a planet. Real science believes in the expanse that envelopes the earth and other heavenly bodies they call “space” which the Bible calls “heavens”. To a person well-versed on the manner of how the Bible was written, the first verse which says “In the beginning God created the heavens and the earth” is easily understood as the heavens created ahead of the creation of the earth. (The Bible speaks of first things first.) This will give us the implication that the heavens or the universe in its entirety should be older than the earth and this is amazingly scientific! To prove this idea let us read verse 2. While verse 1 contains the information that the heavens and the earth were created, we may notice that on verse 2, only the earth was mentioned to be formless and void, meaning that the heavens were already formed at the time that the earth was without form and void. No known and accepted knowledge in science refutes this Biblical truth: that the earth is much younger than the universe that contains it. Most scientists believe that the universe can be as old as 13 billion years while the earth is 4 to 4.5 billion years old. But why can’t billions of years possibly be the age of the universe when most religious apologists say that the earth is only 6,000 years old? The most misunderstood portion of the account of creation is that the heavens and the earth were created in six days, and for most of them were literal six 24-hour days, which is wrong! The counting of the “first day” must be noted to have commenced after the creation of the heavens and the earth when light started to appear. The pronouncement, “Let there be light” does not mean that the existence of light-emitting heavenly bodies like stars and nebulae will only begin at that time. Remember that the heavens was created and formed already in verse 1. From logic, what is possible is that the process of nuclear fission in stars and other heavenly light-emitting bodies started at the time when God said “Let there be light.” This is very much like when the starter of the fluorescent lamp is activated! One important thing to consider is (in my mind but not in every mind), that the first day mentioned, is the first day after the creation of the heavens and the earth and not the first day on the planet earth! There are days in heaven which are very much different from days on earth. That your days may be multiplied, and the days of your children, in the land which the LORD swore unto your fathers to give them, as the days of heaven upon the earth. This explains the fact that only on the fourth day God caused the existence of two great lights to light and to rule upon the earth, (Note that on earth only) because scientifically speaking, our lights – the sun, and the moon – are very insignificant in relation to the entire universe! To understand the scientificity of the account in Genesis we must take note of the use of the word “made two great lights”. “To create” is to make something exist while “to make” is to produce something from something that already exists. It is not only logical but scientific to say that “God made two great lights” which biblically and scientifically means that the sun and the moon were already in existence before God caused the sun to emit light and the moon to reflect on earth. More to follow, God willing.